Sandra is one of the longer standing members of the North Island team with over a decade under her belt. She is an integral member that works tirelessly behind the scenes to ensure that her department runs seamlessly. 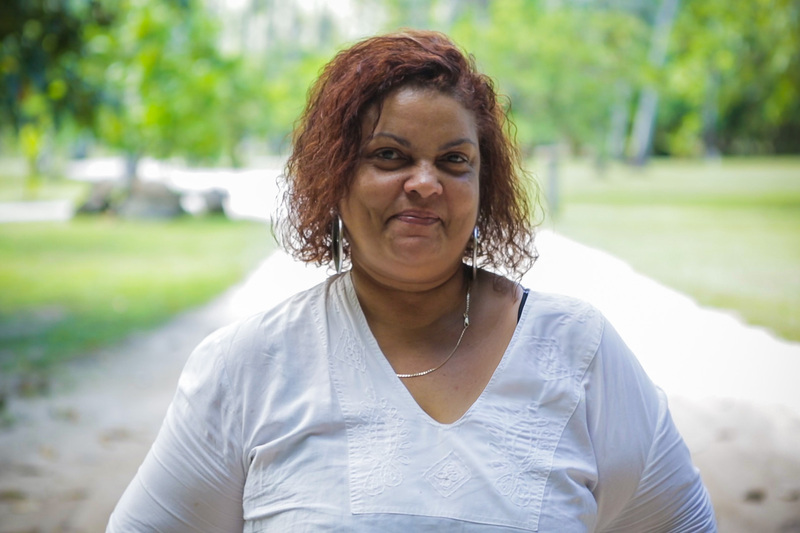 The epitome of a team player and extremely proud of her Praslin heritage – we introduce to you, Sandra Pouponneau. How long have you been working for North Island? What do you do for North Island? My job entails administration, logistics and travel coordination. I am originally from Praslin – an island in the Seychelles. Tell us a little more about growing up on Praslin. What was that like? Growing up on Praslin were the best days of my life! I grew up on my grandfather’s property which was managed by my father. Life was fun and carefree. There were many people on the property, so I was practically raised like a little princess. Cooking has always been my passion and since I was 8 years old I would always be in the kitchen, learning how to cook. The first meal I ever made was ‘Bouyon Blan’ – a fish soup. We did not have electricity on the property, and therefore used lanterns for lighting at night – this was magical and truly amazing for us as kids. Taking long walks on the beach under the full moon was simply out of this world. Because of this, I love the beach. What do you love most about working at North Island? I love interacting with people from different nationalities. What would you consider your greatest achievement at North Island to be? I have won ‘Employee of the Month’ award three times. What makes North Island special in your opinion? I love the peaceful environment. One of my wildest dreams is to travel to Bali one day to visit the mountains and experience their culture. Bouyon Bred – a local spinach soup. A good swim and long walk on the beach.